Purchasing a car is a big deal for everybody, no matter what your age or where you’re from. When you’re looking for pre-owned Mercedes-Benz for sale, you want to be especially thoughtful and considerate to ensure you make the right choice. Buying a certified used Mercedes-Benz in San Antonio, TX, can be a great investment, as long as you follow these helpful tips. 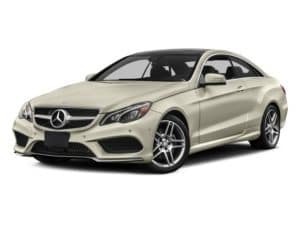 One of the best things about buying a used Mercedes-Benz is that these vehicles consistently offer some of the top values across the entire pre-owned market. 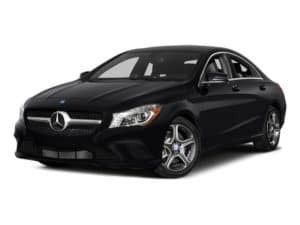 If you’re looking at certified used Mercedes-Benz for sale, you will get practically the same quality and performance as a new vehicle, but at a much lower price. That’s because Mercedes-Benz products are some of the most reliable and well-made cars in the auto industry. That being said, it’s important for you to determine your budget before you start looking. Otherwise, you’ll likely to get overwhelmed and caught up in the experience, which could lead to you spending more than anticipated. You should take some time to consider what you can realistically afford to spend. Think about the initial purchase and the monthly payments you may need to make in the future. If you come up with an honest upper and lower price range, your search for a car will be a lot easier. You can take advantage of digital tools that can help you figure out what your monthly payment would be, depending on the price tag, down payment and interest rate. Keep in mind that your monthly payment shouldn’t be more than 20 percent of your income. In addition to thinking ahead about possible financial changes and investments, you should also check your credit score and credit history if you plan to finance a pre-owned Mercedes-Benz. By researching your credit and the current interest rates, you will be able to explore your financing options and confirm that your credit reports are accurate before you head to the dealership. It’s not uncommon for errors to appear on credit reports, so you want to make sure everything looks right before you go. Your credit report will play a major role in determining what financing options are open to you and how much interest you will pay on top of your loan. Once you’ve completed this step, you’ll be in a much more comfortable position to take home a quality used vehicle. It’s no secret that there is a huge range of options in the pre-owned market. You should do some exploring and research available models that interest you. There’s sedans, roadsters, convertibles, coupes, vans, sport-utility vehicles, wagons and more, so narrow down your options to what you can realistically see yourself driving. You can also check out entry-level models such as the C-Class Sedan or consider more luxurious upgraded models like the S-class. Keep in mind that even with used cars, there will be a variety of options and packages. You’re sure to find something that suits your needs, whether you need room for many passengers or you just want a sleek and stylish sports car. Once you have a clear vision in your head of what you’re looking for, it’s time to decide on a dealership. You should look for an official Mercedes-Benz dealer that offers a solid selection of pre-owned and certified pre-owned vehicles. While you could go to any used car dealership, it’s in your best interests to go to one that specializes in Mercedes-Benz, so they can accurately evaluate the quality of a pre-owned model. This is important for anyone who wants a certified pre-owned Mercedes-Benz, as this inspection process will need to be performed by an official dealer that will take an in-depth look at the vehicle before the keys are handed over. If you buy a certified pre-owned car, you could enjoy a one-year extended warranty in addition to any remaining factory guarantee.